John Miller received his early musical training at the Peabody Conservatory in Baltimore and the New England Conservatory in Boston, (MM, Artist Diploma). He also holds a BS degree in humanities and engineering from MIT and was awarded a Fulbright grant for music study in Amsterdam, (1964-65). While in Boston he founded the Bubonic Bassoon Quartet and made the premier recordings of the Hummel Bassoon Concerto, released with the Weber Concerto on Cambridge Records, and Zelenka’s Sonatas for Two Oboes and Obbligato Bassoon, (4-6), on the same label. He became Principal Bassoon of the Minnesota Orchestra in 1971 and retired from his position in January, 2016, having become the longest serving principal player in the 100+year history of that orchestra. He remains on the faculty of the University of Minnesota where he has taught since 1971. His long solo career has included performing the major bassoon repertory with the Minnesota Orchestra and numerous other orchestras around the world. 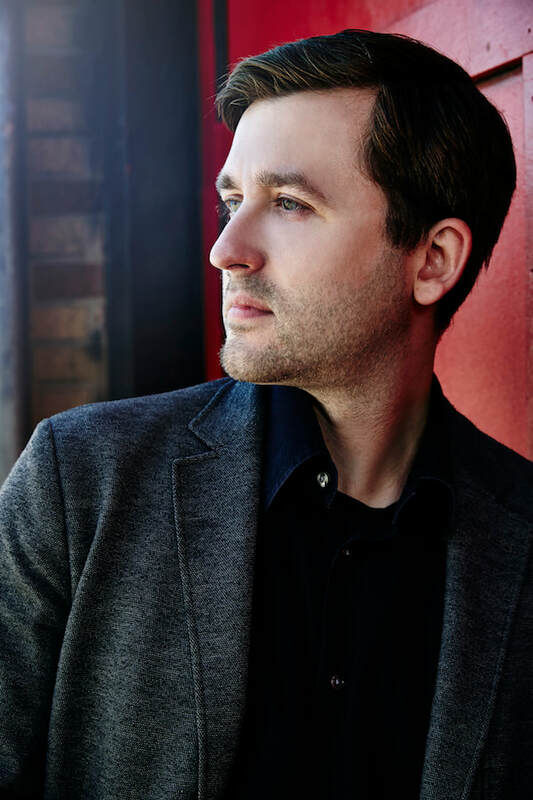 In addition to teaching at Boston University, New England Conservatory, Sarasota Music Festival, and Las Vegas Music Festival, he has presented master classes and recitals at many of the world's leading conservatories and music schools. In the late 1980s Mr. Miller, in collaboration with bassoon manufacturer Alan Fox, helped to develop America’s first professional level bassoon, the FOX Model 601, which he has played exclusively since 1991. ​Among his solo recordings are four concertos by Vivaldi, and the Mozart and Vanhal concertos, all conducted by Sir Neville Marriner on two Pro Arte CDs. For more than 20 years he was a member of the American Reed Trio. His teachers have included Louis Skinner, Arthur Weisberg, Stanley Petrulis, Sherman Walt, Stephen Maxym, and Thom de Klerk. One of Mr. Miller's educational activities, the Nordic Bassoon Symposium, begun in 1984 as the John Miller Bassoon Symposium, has attracted an international mix of hundreds of professional, student, and amateur bassoonists. Another, the Minnesota Bassoon Association, formed in 1983, presents bassoon related events, and has brought most of the world's prominent bassoonists to the Twin Cities area. In 2012 he joined with several local musicians to found the Minnesota Bach Ensemble, a small group dedicated to performing the music of J.S.Bach. Dr. William LaRue Jones is “one of the most active and versatile symphonic conductors in America today, possessing a unique ability to work effectively with musicians at all levels of performing capability and experience” (Minneapolis Star-Tribune). His conducting schedule includes a wide array of professional, festival, collegiate and student ensembles throughout North America, Latin America, Europe and Asia, ranging from the Minnesota Orchestra and the Minneapolis Pops to the Penang (Malaysia) Symphony, the Antofagasta (Chili) Symphony and the Symphony Orchestra of Lucerne (Switzerland) to the Orquestra Sinfonia do Theatro da Paz (Belem, Brazil). He returns annually to China to conduct orchestras and present conducting master classes. Recent engagements include conducting orchestras in the Chinese cities of Beijing, Shanghai, Wuhan, Xi’an, Nanning, Shenyang, Zhangzhou, Shijiazhuang, Tianjin, Nanchang, Sichuan, and Hong Kong. Other orchestras in Asia include Singapore, in the Malaysian cities Kuala Lumpur, Ipoh, Kedah, Penang, and Hsinchu City in Taiwan. In addition, Jones has conducted over 100 all-state orchestras with additional festivals and clinics in each of the 50 United States and each Canadian province. 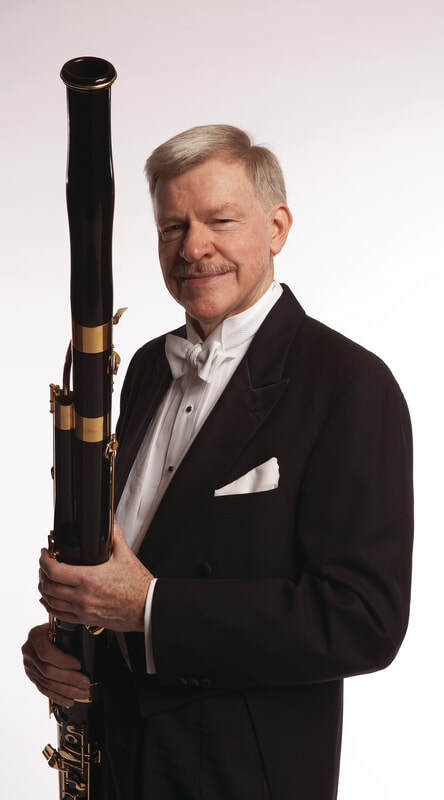 As a professional performer, noted for his outstanding technique and musicality, Jones was principal bassoon of the Minnesota Opera and Minnesota Ballet, and was first call associate with the Minnesota Orchestra and Saint Paul Chamber Orchestra for over 15 seasons. He has performed under such esteemed maestros as Stanislaw Skrowaczewski, Klaus Tennstedt, Antol Dorati, Charles Dutoit, Aaron Copland, Zubin Mehta, Neville Marriner, Edo deWaart, Daniel Barenboim, and Leonard Slatkin, to name a few. Since 1997, Dr. Jones has been Professor of Music, Director of Orchestral Studies and Conductor of Orchestras and Opera at the University of Iowa (Iowa City). In 2008/9, the State of Iowa and the University of Iowa selected Dr. Jones for the Regents Award for Faculty Excellence. He was also appointed an Obermann Scholar and a Stanley International Fellow in 2008. In 2011, he received the designation of Collegiate Fellow in the College of Liberal Arts and Sciences. Dr. Jones is currently Music Director/Conductor of the Ottumwa Symphony Orchestra. He has previously held the position of Music Director/Conductor of the Oshkosh Symphony Orchestra, Bloomington (MN) Symphony Orchestra. He holds the titles of Founder and Conductor Laureate of Greater Twin Cities' Youth Symphonies (MN) and Conductor Emeritus of the 3M Symphony. He is serving as National President of American String Teachers Associations (2018-2020). For his untiring work on behalf of music and arts education, he has been honored with the 2013 “Medal of Honor” presented by the Midwest International Band and Orchestra Clinic (Chicago). In addition, he has received the American String Teachers Associations Exceptional Leadership and Merit Award, the David W. Preuss Leadership Award, the Sigma Alpha Iota Musician of the Year Award, WCCO Radio "Good Neighbor Award" and the State of Minnesota Governors' Proclamation of “Dr. William LaRue Jones Week”. Recognition of Jones' outstanding gestural skills and score analysis has made him a sought-after teacher of conducting. He is the founding Artistic Director of the critically acclaimed Conductors Workshop of America and was the lead member of the conducting faculty of the International Workshops where he also served as conductor of the International String Orchestra. Jones has also presented conducting seminars/workshops internationally for professional/educational associations in Japan, Norway, Australia, Scotland, Austria, Germany, Malaysia, Switzerland, France, Brazil, and China. In 1972, Dr. Jones founded the Greater Twin Cities' Youth Symphonies (MN) which he guided to international acclaim during a 25-year tenure. The program became a model for youth orchestra structures worldwide, comprised of eight full orchestras involving over 1000 students annually. Conductor and violinist, Hisham Bravo Groover, is currently serving in his first season as Assistant Conductor of the Arapahoe Philharmonic. At the same time, he directs the Arapahoe Community College String Orchestra and also teaches violin. Outside of Denver, his upcoming performance schedule includes appearances with the Mississippi Valley Orchestra as well as with the CSU-Pueblo Honors Orchestra. During his time in Colorado, Hisham has worked with numerous orchestras in the area. From 2016-2018, he served as the Associate Conductor for the Denver Philharmonic Orchestra. Furthermore, while pursuing his Artist Diploma in Orchestral Conducting from the Lamont School of Music, he served as the Assistant Conductor for the Lamont Symphony Orchestra as well as the Lamont Opera Theatre, during which he assisted in the productions of Die Fledermaus and Le Nozze di Figaro. Before his time in Colorado, Hisham graduated from The University of Iowa with a Master’s Degree in Orchestral Conducting. In Iowa, he conducted various university ensembles including the UI Chamber Orchestra, All-University String Orchestra, Opera Scenes, and the Center for New Music. Moreover, he was an Adjunct Instructor of Music at Ripon College, Wisconsin, where he served as the conductor of the Ripon College Orchestra. Hisham also holds a Master’s Degree in Violin Pedagogy from Western Kentucky University and a Bachelor’s Degree in Violin Performance from Loyola University in New Orleans. His violin studies have also taken him to the New Zealand School of Music as well as to the Jacobs School of Music during two of its summer festivals. Hisham’s primary conducting mentors are Dr. William LaRue Jones and Dr. Lawrence Golan. with the musicians of the Mississippi Valley Orchestra. Ye Yu graduated from Sichuan Conservatory in China in 1982 and subsequently became an instructor at the institute. He then moved to the United States to study for his DMA at the University of Minnesota with John Miller, principal bassoonist of the Minnesota Orchestra. During his studies. He won the University Symphony Orchestra Concerto Competition. Yu has performed in many professional orchestras throughout the Eastern and Midwestern United States, including the Minnesota Orchestra, West Virginia Symphony Orchestra, South Dakota Symphony Orchestra, and community orchestra around the Twin Cities. As a soloist, he has performed bassoon concertos with the Northeast Orchestra and the University of Minnesota Symphony Orchestra. Recent appearances include performances at the Sichuan Conservatory, China Conservatory, Xian Conservatory, and Wuhan Opera. In April 2017, he was invited to Utah State University for a collaborative performance with Professor Dennis Hirst. Other collaborative projects include a performance tour to China with Professor Robyn Jones from the University of Memphis. Yu owns a local double reed business, Golden Bamboo. Bells of the Lakes, a community handbell ensemble which represents the Twin Cities of Minneapolis and St. Paul, Minnesota, was founded in the fall of 1996. The group was formed in response to the need of a challenging ringing experience for local ringers and directors. Legend has it that Paul McKenzie approached Bill Mathis, who had recently moved to the Twin Cities from Oklahoma, and encouraged him to start a community bell choir so “he (Paul) could play in it.” The name Bells of the Lakes was chosen to reflect the many lakes in and around the Twin Cities and Minnesota, Land of 10,000 Lakes. With the choices of name, director, meeting place and time and a core group of ringers decided, the group applied for non profit status and filed the paperwork to become incorporated. Jerry Southwick, son of founding member Su Southwick, designed the group’s logo. The first public concert for Bells of the Lakes as a ringing ensemble was at Handbell Exploration at the Thunderbird Hotel in Bloomington, MN in 1996. They performed at the International Symposium of English Handbell Ringers in Birmingham, England in 2000 and were a featured concert ensemble at Pinnacle, a symposium of community handbell ensembles in Orlando, Florida in 2002. In the summer of 2006 they performed the closing concert at the AGEHR National Directors’ Seminar in Milwaukee, Wisconsin. Over the years weekend tours have taken the ensemble to the north, south and western edges of Minnesota, Wisconsin, Illinois, North and South Dakota, Iowa and Indiana. They performed with the Twin Cities Gay Men’s Chorus for their annual Christmas event in 2003 and 2010. Bells of the Lakes continues to bring the art of handbell ringing into the surrounding community with an active concert schedule. The first recording for the group was for Augsburg Fortress publisher’s demonstration CD of new releases in 1998. Since that time, there have been additional publisher demo recordings and the release of “Bells of the Lakes” which was recorded in the McKnight Auditorium of the Minnesota History Center in 2000, and “Ring the Bells of Christmas” which was recorded at Hennepin Avenue United Methodist Church in 2002. “Bells of the Lakes Celebrates 10 Years” was released in 2006 to mark the ensemble’s tenth anniversary. And “Hymns” was released in 2011 to celebrate the history of handbells in worship and the first Handbell Musicians of America Director’s Seminar held in Minneapolis, MN. Bells of the Lakes seeks to commission original compositions for handbells from known and emerging composers. Their first commission was Froelich Tanze by Karen Lakey Buckwalter in honor of Su and David Southwick’s 40th wedding anniversary in 1999. Cathy Moklebust was commissioned and wrote Vision Quest in the fall of 2005 in celebration of the group’s tenth anniversary. Other commissions have been penned by Michael Helman, Hart Morris and Kevin McChesney. Bells of the Lakes organizes two major educational events each year. Bellfest! 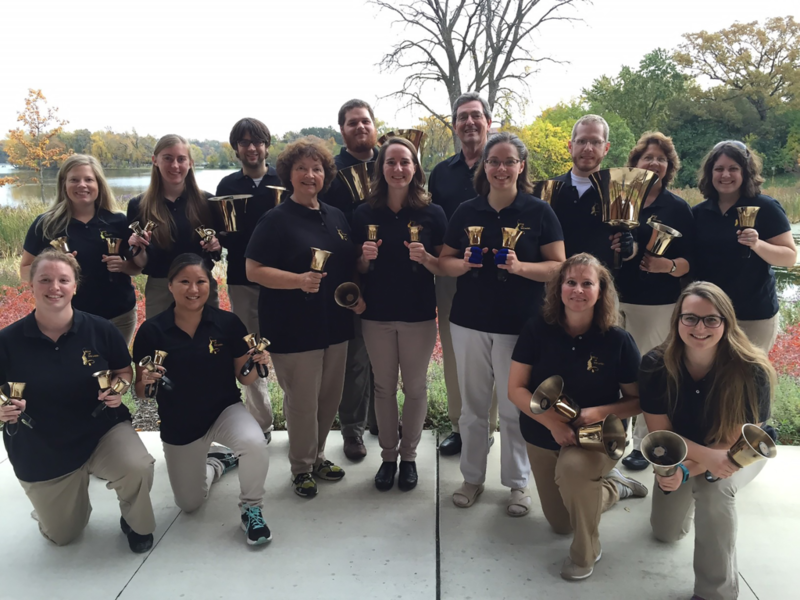 is a one day massed ringing event for up to thirty handbell ensembles. 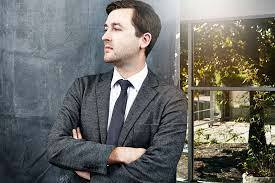 Held each winter, it features nationally known and local guest conductors. The Seminar for Handbell Ringers and Directors is a summer event featuring classes to encourage and educate new handbell ensemble directors and ringers. 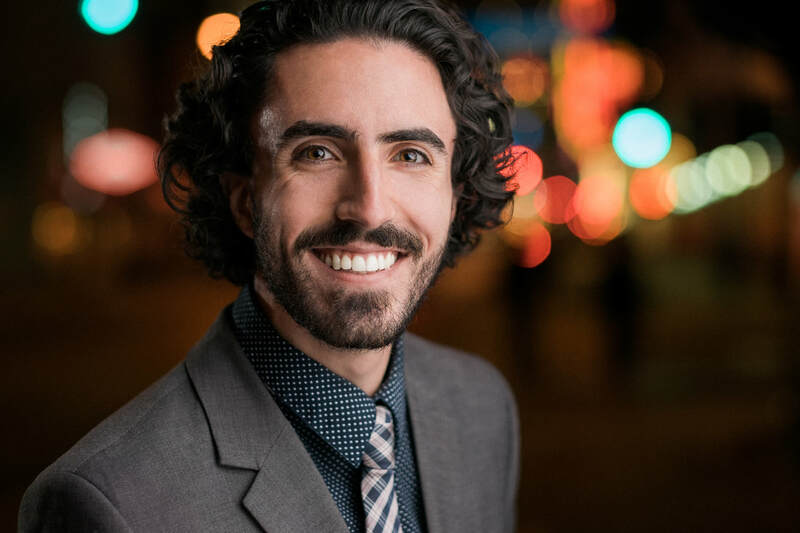 An avid chamber musician, Andrew has jammed with legendary vocalist Bobby McFerrin, played Tangos with The Assad Brothers, and has performed with Chee-Yun, Sharon Robinson, Martin Chalifour, Jessica Rivera, Desmond Hoebig, Jane Peters, and Joseph Swensen. He was a guest artist at the 2014 La Jolla Summerfest, the 2010 Orcas Island Chamber Music Festival, as well as the Glacier Symphony’s 2013 Festival Amadeus. Andrew has a keen interest in performing new music and has premiered a number of works for solo piano and chamber ensemble by composers Howard Shore, Sarah Kirkland Snider, Christopher Walczak, Christopher Goddard, Miguel Chuaqui, Karl Blench, and Anthony Brandt. Other notable performances include concerts at the Kennedy Center and the Library of Congress in Washington DC, and Steinway Hall and Trinity Wall Street in New York City. His live performances have been broadcast nationally on WQXR in New York City, KSJN in Minneapolis, and KUHF in Houston. He has performed twice on American Public Media’s “Performance Today,” and on Garrison Keillor’s “A Prairie Home Companion” in 2004. Chorus Polaris is an eclectic community chamber chorus of 35 professional and amateur singers drawn from throughout the extended Twin Cities area. We sing an extraordinary range of music, from Renaissance motets to jazz to masterworks with orchestra. And we work hard to get out from behind the music, singing with spirit, expression, and skill. Chorus Polaris has a distinguished history in the Twin Cities, performing music for voices and instruments from a wide variety of periods and styles. The vision we have for our next chapter includes widening our musical range, increasing our musical skills, and deepening our sense of excellence and community. 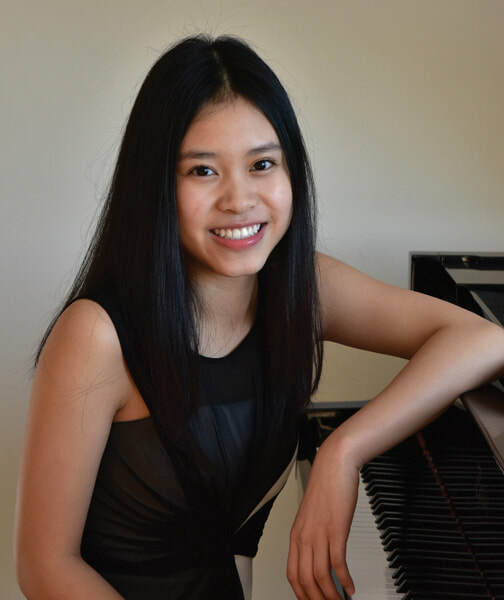 Jacqueline Pham is a seventeen-year-old pianist from Little Canada, Minnesota. She began studying piano at the age of six with Lin Qiu, and she has been a student of Dr. Paul Wirth for the past three years. She has played in many master classes with pianists such as Ann Schein, Seymour Bernstein, and Spencer Myer. She has placed first in PianoFun Minnesota competitions and third in the MMTA Junior Young Artist Competition, and she was a finalist in the MMTA Senior Young Artist Competition. Jacqueline has attended the Young Artist World Piano Festival and participated in its Honors Recital every summer for three years. In the summer of 2018, she was one of two pianists invited to play The Carnival of the Animals by Camille Saint-Saëns with the Lakes Area Music Festival Orchestra conducted by Marlene Pauley. She enjoys playing music from various composers, but her favorite composer is Frederic Chopin. Jacqueline attends Roseville Area High School, where she participates in choir and extracurriculars such as DECA (a student organization focused on careers) and the prom committee. Aside from piano and school, she loves photography and traveling.